When we have received your booking form and deposit, Always Chauffeur Wedding Cars will send confirmation of the booking. An invoice for the final amount will be sent to the client approximately one month before the wedding. Always Chauffeur Wedding Cars agree that following satisfactory completion of the booking form by the client, the vehicle(s) hired will arrive on the day of the wedding at the time appointed, or as near as can be reasonably expected. We will then transport the people listed on the booking form only to and from the church or registry office as appointed, then on to the reception. Always Chauffeur Wedding Cars will provide the client with information regarding the price and availability of vehicles at the time of the original enquiry, but reserves the right to vary the price and/or the availability, if the information given on the client’s booking form is different from that of the original enquiry. Our chauffeurs will choose the route based on local knowledge and/or satellite navigation. The chauffeurs will use their judgement to travel at a sensible speed in relation to the road and weather conditions. No responsibility can be taken for route closures or for restrictions relating to vehicle access to any location, hold ups on route or adverse weather conditions. We cannot be held responsible for late arrival or cancellation due to circumstances beyond our control or for any subsequent consequential losses. In the event of extreme weather conditions such as ice or snow, Always Chauffeur Wedding Cars will make the decision as to whether the car is able to fulfill the contract. If possible an alternative car more suitable for driving in these conditions will be sent with the prior approval of the customer. If another car is able to fulfill the contract then no refund will be given, if no car is supplied then the full hire contract money will be refunded. Always Chauffeur Wedding Cars recommend that you take out wedding insurance. Always Chauffeur Wedding Cars will endeavor to provide the vehicle(s) as listed on the booking form, but shall not be held responsible for the non fulfillment of the contract due to mechanical breakdown or other unforeseen situation arising, over which Always Chauffeur Wedding Cars has no control. However, in such circumstances, and as far as is practically possible, Always Chauffeur Wedding Cars will take steps to safeguard the interest of the client and minimize the effect thereof by attempting to provide an alternative vehicle (or vehicles). Should we be unable to get an alternative vehicle to the wedding in time and compensation be warranted then compensation will be limited to the hire charge of the vehicle depending on the level of failure and service carried out. The total compensation will be up to, but no more than, the total contracted cost of the wedding vehicle hire. Your Chauffeur will carry a mobile phone for the purpose of emergency arrangements (subject to signal reception). 99.9% of our weddings go according to plan so we are confident that your wedding will proceed to the original arrangement. All of our cars are kept in immaculate condition and serviced regularly to try to avoid any mechanical problems. However, for peace of mind you might like to consider nominating a reliable friend, neighbour or guest attending your wedding to be your rescue car in the event of an unforeseen last minute problem, to be prepared to collect the Bride at short notice. They will need to be contactable by mobile phone and have it switched on until they know the Bride has arrived safely at the church. This is not something that has ever happened to date but it is a sensible precaution and will help to take the stress out of the situation if it does occur. We ourselves have a standby backup system and will usually have a vehicle prepared and available to cover such last minute eventualities, however this vehicle may be based some distance from where your vehicle breaks down or where your pick up address is and therefore may take some time to reach you so you will then need to decide whether to wait for the replacement car and possibly arrive at the Church/Venue later than scheduled or proceed to Church/Venue using your backup arrangement. Always Chauffeur Wedding Cars will not be held responsible for any other consequential losses in the event of a mechanical breakdown or unforeseen circumstances. (We always recommend you take out insurance to cover any such losses). Wedding photography, including video photography. Always Chauffeur Wedding Cars allows 2 hours for photography after the wedding ceremony as part of the service provided. However, where more time is required for extra photography, Always Chauffeur Wedding Cars reserves the right to make an additional charge, even after the day of the wedding, based on the extra time involved for the vehicle(s) and driver(s). Always Chauffeur Wedding Cars reserves the right to make a reasonable adjustment to the terms of the agreement in the event of a situation arising over which Always Chauffeur Wedding Cars has no control. There are no boots in our wedding cars. It is therefore recommended that you arrange for someone in the family to transport any luggage. The customer’s personal belongings are conveyed at the Customer’s sole risk. The chauffeur is not responsible for any belongings and no compensation will be given for lost, stolen or forgotten items. Always Chauffeur Wedding Cars cannot be held responsible for any damage occasioned to such belongings (including the wedding dress) or luggage. Always Chauffeur Wedding Cars operates a “NO SMOKING” policy for the comfort and health of all passengers and drivers of its vehicles. Always Chauffeur Wedding Cars or the chauffeur, retain the right to refuse to convey any passenger who is drunk, or whose condition may put the chauffeur, the vehicle, or other passengers at risk. 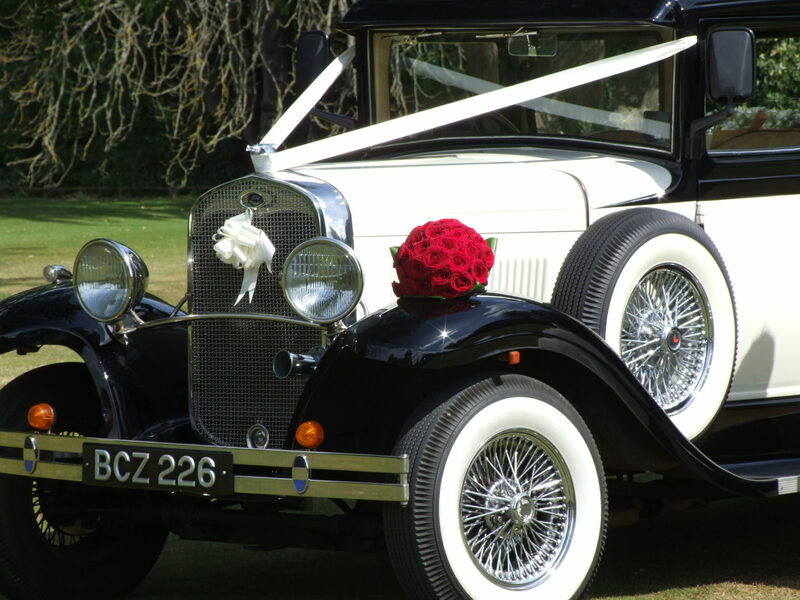 Always Chauffeur Wedding Cars are insured to carry out weddings & Proms. The insurance is only valid if there are no more than 7 passengers, in the Bramwith Car, 3 in the Beauford wedding Car . (these figures do not include the driver) The driver will rigidly adhere to this law regardless of age. No responsibility will be taken for any persons who cannot be transported to or from the wedding. NO CHILDREN UNDER THE AGE OF 3 are permitted to travel in our cars. The cars only have lap belts, therefore the necessary car seats cannot be fitted. The driver will under no circumstance transport a child under 3 and we will not be held responsible for any child who cannot be transported to or from the wedding. Always Chauffeur Wedding Cars strongly advise that you purchase wedding insurance. • The hirer reserves the right to terminate the agreement by giving notice of termination in writing to Always Chauffeur Wedding Cars. Upon receipt of the written termination Always Chauffeur Weddings Cars will confirm in writing to the hirer the termination of the agreement. Always Chauffeur Wedding Cars reserves the right to issue a termination account to the hirer based on the following scale of charges. • Cancellation 6 months or over prior to the wedding: No charge, other than forfeit of any deposit already paid. By cash, cheque, BAC’s or card payment at least 14 days prior to the day of the wedding. Please make cheques payable to Natalie Mitchell. (credit cards incur 3% fee charge).